In 1989 a dispute over the redevelopment of the Old Swan Brewery on the Sacred Grounds of the Waugul, Kings Park, Perth, convulsed the politics of Western Australia. Its lessons are important for all who are concerned about Aboriginal rights and culture, the environment, the progressive role of trade unions, the integrity of the Labor Party and the social/spiritual activities of the churches. Made as a campaign film, Always Was Always Will Be is a visually rich account of this historically important struggle over a sacred site and gives an insight into the living culture and beliefs of urban Aboriginal people in Western Australia. Always Was Always Will Be is a testimonial record of the ten-month long camp at the Old Swan Brewery in peaceful protest against the building of a tourist centre and to protect the Ancestral First Grandmothers' and Grandfathers' beliefs. 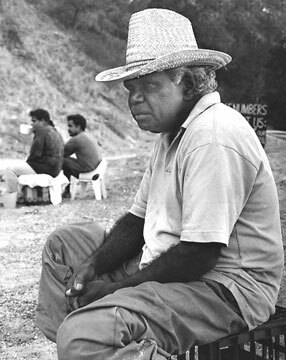 Robert Bropho, Aboriginal activist, and other protesters sit down on the sacred site of the Waugul at the Old Swan Brewery in 1989. Always Was Always Will Be was made in a collaboration with a number of Indigenous people. I've named Martha in representation of the entire team. Martha Ansara has also written a book about these issues: Always Was, Always Will Be: The Old Swan Brewery Dispute: The Sacred Grounds of the Waugal, Kings Park, Perth, WA (1989, ISBN 0731675711—out of print, try second-hand booksellers).